From tours to workshops, E-week at CSUN has officially begun. E-week events are put on by Leaders in Engineering and Computer Science, also known as LECS, which is the overseeing club for all the engineering clubs and organizations on campus, according to the Machine Shop Club Vice President James Quan. Computer engineering graduate student, Yin Fung Khong is the president of Leaders in Engineering and Computer Science. He says they usually have E-week every year but he, his advisers, and club members, realized the lack of representation in the college of engineering. “The main reason for this event is so that we could increase awareness here at CSUN and [create space for] collaboration between all the student organizations,” Khong said. The Machine Shop Club gave students a tour of the machine shop on campus where students can make tools and other items. 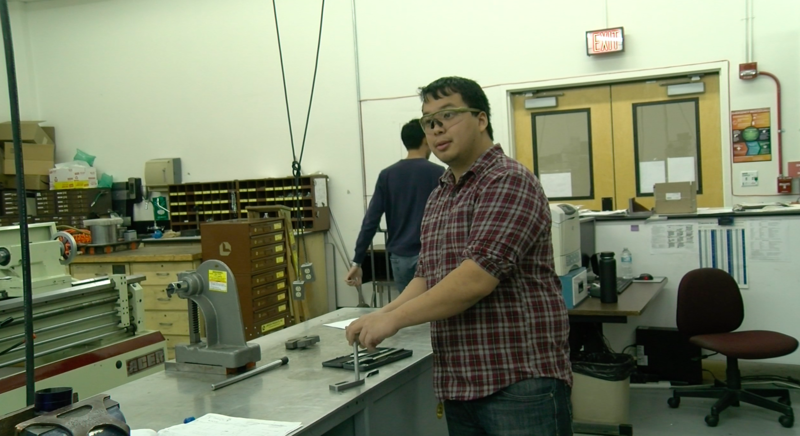 Max Tchen, mechanical engineering major, has made a screwdriver, bottle opener, pry bar, mill-stop and a tape dispensary. 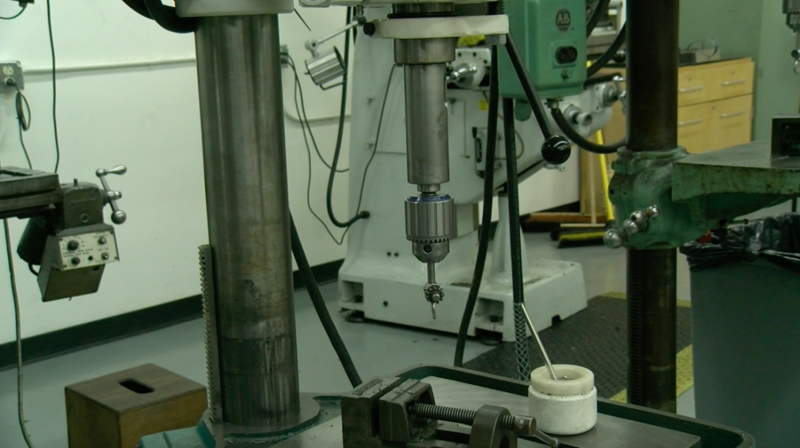 Although he’s not an expert and some items take more skills and time to create, Tchen is at the machine shop to help students. The machine shop is open seven days a week and is free. “You could be any major of any standing: freshman, sophomore, junior, senior,” Tchen said. “If you want to learn how to make parts, read blueprints, my role is to help guide and help them as much as possible to make these things and use these big machines and be comfortable with them. 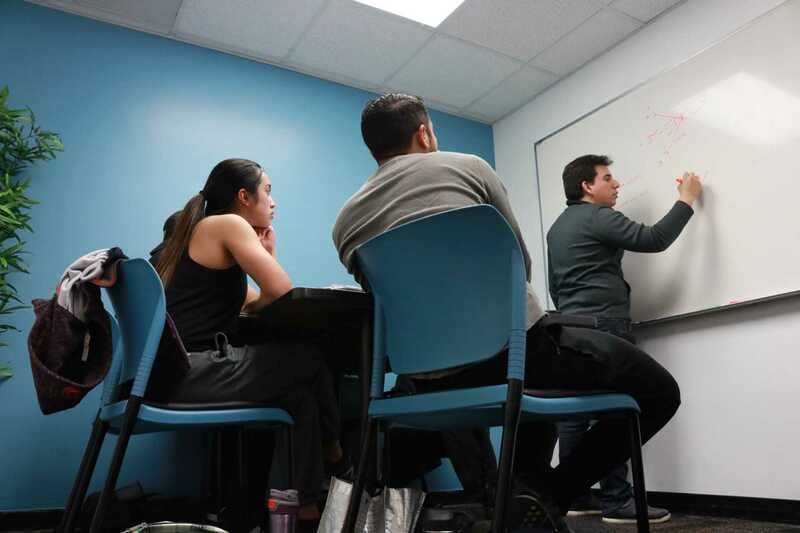 While students in the college of engineering and computer science create and solve problems, not all of them consider themselves as engineers. Khong explained that E-week is also an opportunity to reject the stereotypes about engineers not working with others, being independent and by themselves. When it comes to circuit designs, Khong says that the PSpice Workshop gives students an opportunity to learn about electronic circuits without taking a class.